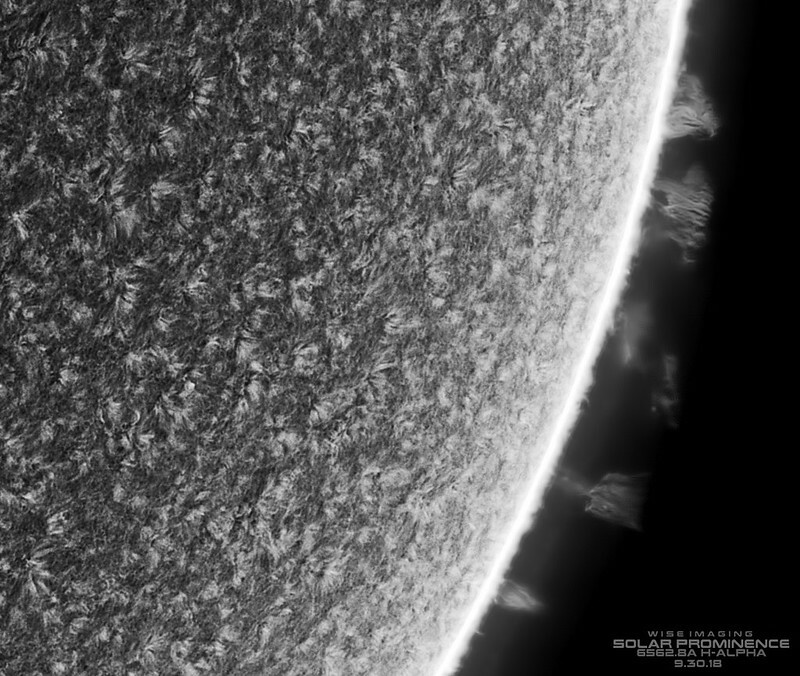 SunSpot 2723 (Animated! ), Proms, 120mm HA | Sept 30th 2018 - SolarChat! So it looks like our little active region grew signifcantly overnight into a proper sunspot and has its designation of 2723. It flared more yesterday, but it's still dynamic and interesting today. I did 42 minutes of time lapse with a 120mm aperture scope to animate it to see the movement over time. 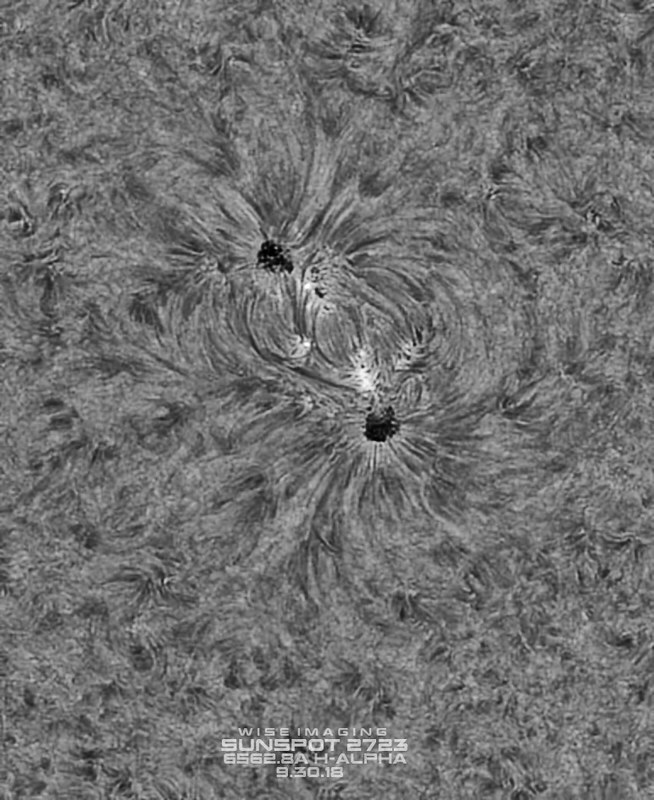 It doesn't have a ton of activity, didn't capture any significant flaring, but it's interesting to see the plasma flow around the magnetic lanes. Interesting proms on the limb in a few places too, some really faint stuff that could barely be noticed without really pushing it. My compliments for the real steady flow of nice pictures! Our way of processing really differs. I want it to be soft, so it is not too obvious I sharpened the images. The small line you can see in your limb pictures is for me the sign that I have gone too far. The difference between your way of processing and mine of the AR is a nice illustration. But then again: it is all question of taste! Keep those pictures coming, Bart. Another nice set of images, Marty. That animation is terrific saw well. A very nice set again from you, Marty ! 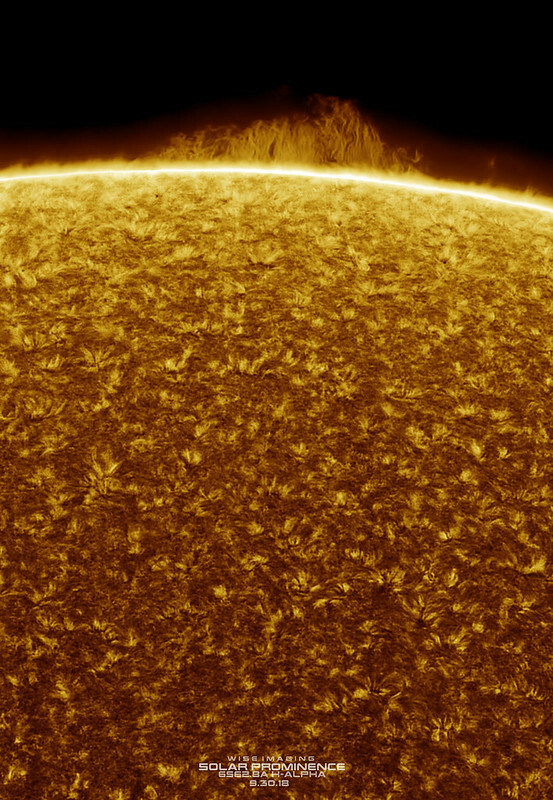 Thanks all, was hoping for some flare activity, but alas! @Bart, my issue is using the Quark (4.2x barlow) and my scopes are F8.3 natively, so I'm always at F35 and oversampling a lot. I find it a lot better at F20~F25 with the ASI174MM pixel size and the seeing conditions. This is with the 120mm aperture scope, so not resolving as much as my 150mm scope, but it's also F8, so same situation, however I've used focal reducers (0.5x) with it to take the image scale down to F18 which is close to F20. It's better and not much different from the larger (F36) scale simply resized to match. I just wish I could get a 0.6x focal reducer instead to work with to get my image scale to a better spot with the pixel size of my ASI174MM. It would be much easier to not have the 4.2x telecentric in my Quark, but, it's stuck in there. 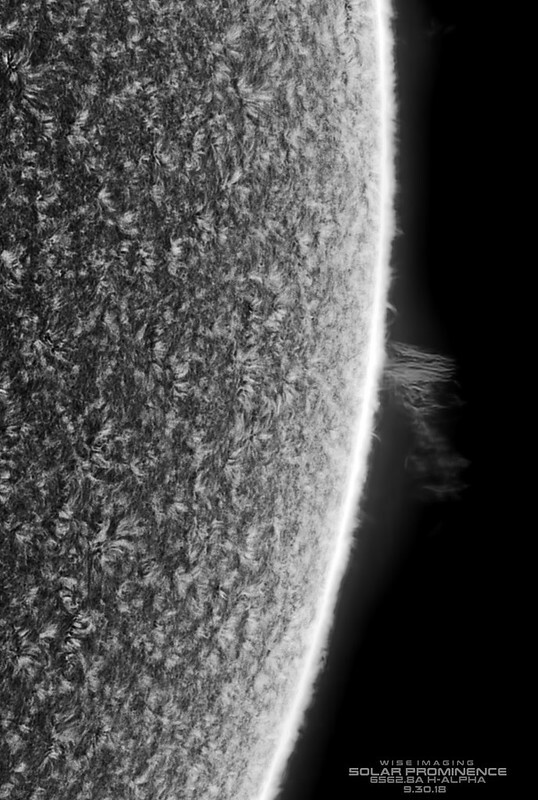 Nice prominences, at my place it was clouded. A very nice set of images, Marty. Lovely prom shots. It's always nice to see animations. Thanks again all, I hope someone gets the spot while it's on the limb, I'm all clouded out today.